Last 'hootie' post of the week! Today I'm sharing some clean and simple cards that all you really have to do is add the owl embellishments. 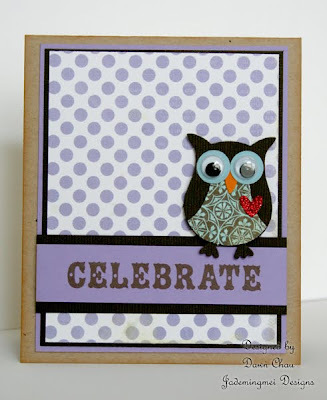 I decided to use the small heart punch on these owls(heart comes within the owl punch), but I'm still not convinced that the red glitter mixes well with the pastels?? 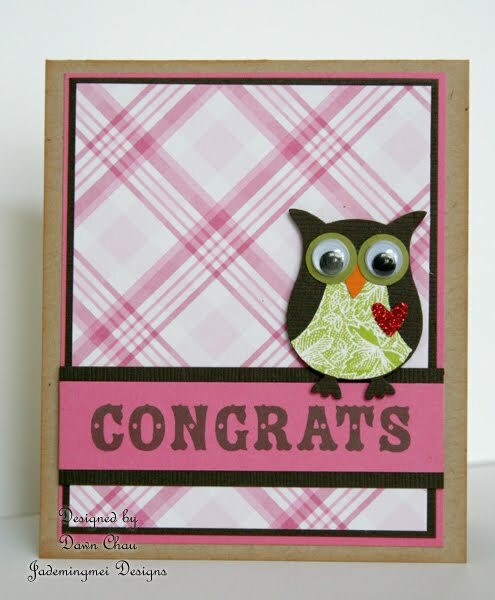 Either way, I'm on an owl kick right now...don't be surprised if they spill over to next weeks posts as well! This set may not look familiar for PTI fans, but believe it or not, it's what I received in lieu of 'Say it with Style'...7 one of a kind sentiments...that look nothing like 'Say it with Style'...lol The sentiments were still perfectly usable, and 'hoo' wouldn't love to add a few rhinestones to the lettering?!! I do finally have the replacements, so hopefully I will get to play with those soon! We are off the beach today! We've got 5 nephews visiting for the week so my house is full of energy that needs to be exerted! Have a splendid weekend and happy crafting! Got the owls. LOVE THEM! 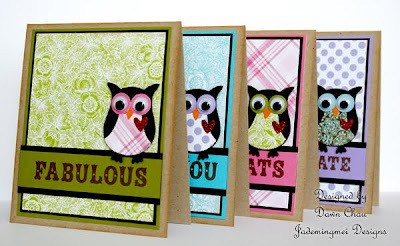 What super cute cards! 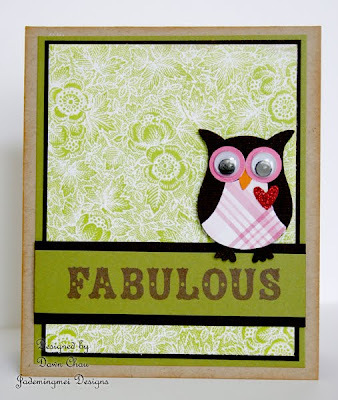 Your fabulous! They made my birthday! 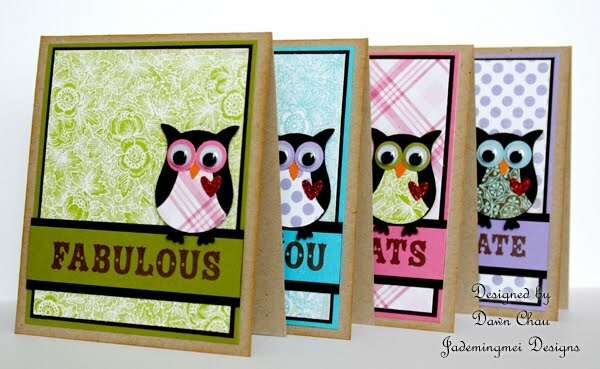 Lovin' all your owls....what a simple way to make a set of cards!